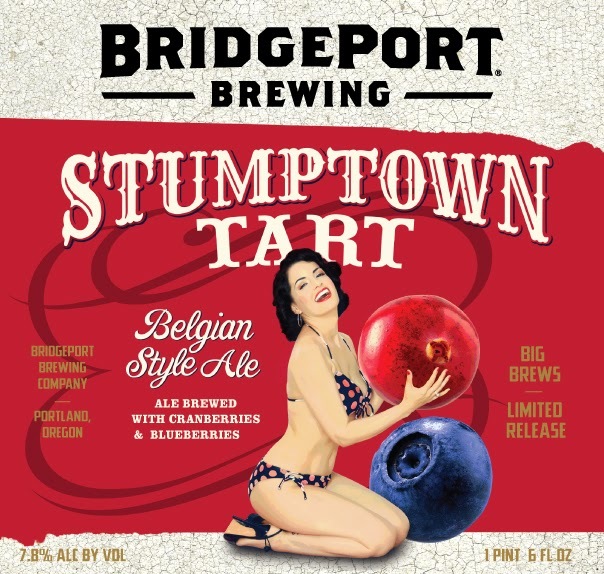 BridgePort Brewing Co. just announced the details for the 7th installment of their Stumptown Tart series. This year's edition will feature cranberries and blueberries. Complete details are listed in the news release below. It's already making its way onto grocery store shelves. I actually saw a bottle this past weekend and plan to profile it in the near future. In the meantime, take stroll down memory lane with Stumptown Tart '13, Stumptown Tart '12, and Stumptown Tart '10. Celebrating 30 years in 2014, Oregon's oldest craft brewery continues to evolve from a microbrewery to a regional leader committed to producing high quality craft ales. Lead by Brewmaster Jeff Edgerton, the team of BridgePort brewers prides itself on using hops from an hour away and clear glacial water from Mount Hood. The BridgePort family of ales includes IPA, the Hop Czar IPA Series, and Kingpin. BridgePort Brewery is located at 1313 N.W. Marshall St. For more information, call 503-241-7179 or visit www.bridgeportbrew.com.